From the clubs and parties of Europe to huge festivals in the USA, Future House and EDM has exploded in popularity in recent years. With this course from Producertech tutor Defazed, you can learn all the tips and tricks needed to create your own Future House anthems. In the course, Defazed begins by analysing some of the key elements of the future house sound, including swinging drums, euphoric breakdowns, and big, metallic basslines. He then proceeds to guide you through the creation of all the key elements, from making beats in drum racks to a host of sound design tips using popular synth Native Instruments Massive. When all the elements are in place, Defazed then proceeds to create a structured arrangement, with tense builds and crushing drops designed to set the dancefloor alight. The course then concludes with tips on creating a clean, powerful mix. The course is available to stream immediately after purchase, and is available 24/7/365. Accompanying the course are 100MB of Future House samples, courtesy of Loopmasters, and 10 free Massive patches. The course also comes with a Live template, giving you a solid platform to kickstart your own productions. Be sure to also check out Defazed's Future House and EDM Massive preset pack, available as a bundle option. Note: A copy of Native Instruments Massive is highly recommended for this course! Defazed starts the course with a look at the characteristics of the future house subgenre, such as the tempo, and timbre of bass and lead sounds. This module looks at programming a beat from scratch using Ableton's drum racks, including tips on adding groove to get the signature swinging sound. In this lesson, Defazed talks through some of his sound design techniques in Native Instruments Massive synth. There's also some tips on processing, including sidechaining. Continuing on from the previous module, Defazed shows how to build a new future house bass patch from scratch in Massive, contrasting with the original bass. This video takes a look at combining the 2 bass sounds to create a new hook, with extra fills and automation to create interesting variations. Defazed adds a chord stab and a new lead part, ensuring that they fit melodically with the existing bassline. He also shows how to use Ableton’s arpeggiator to create more varied lead parts. This module teaches tips and tricks on structuring build ups and breakdowns, including tips on automating FX and macros on NI Massive. This lesson looks at structuring both the intro and the outro of the track, adding appropriate atmospheres and FX and ensuring the track is DJ-friendly. The course concludes with some tips on group processing, including parallel compression and saturation, all used to create a clean, powerful mix. After receiving a BA in Creative Music Technology at Bath Spa University in 2004 and then producing professionally as Defazed for several years, Rich took on a teaching role at one of the UK's leading Music Technology colleges, dBs Music, teaching Sound Engineering, Electronic Music Production and DJing. During this time, he became a fully qualified teacher, was a key player in developing a new BTEC course specifically aimed at electronic music production and went on to author 3 HND courses, which are now fully up and running. 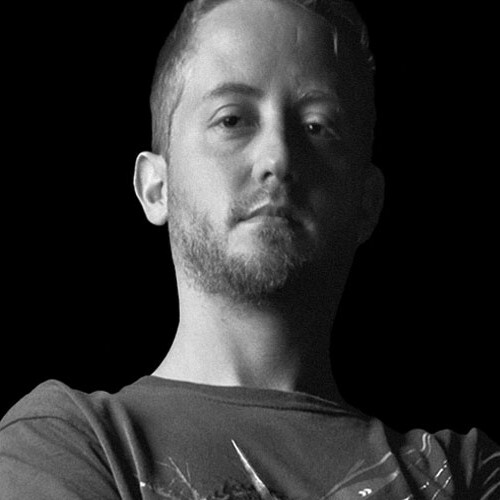 All the while, Rich continues to produce the most fiercely experimental and cutting-edge electronic music, mainly focusing on the Defazed project, with an ever-growing portfolio of releases that push the boundaries of music production and sound design with styles such as Glitch Hop and the Drum and Bass sub-genre Neurofunk.